can you send a first draw please? really appreciated. could you send me the first draw of these wing's please ?? can i get a first draw of this?? Hey bro that tattoo looks amazing! Any chance I could get the first draw of this tattoo please? Much appreciated! Hey I think those wings look really good man, do u still have your drawings/ and or stencil you could email i think thats a great starting place for modification. Cheers! Love these! Can you send me the first drawing of your wings too!... I know a lot of people have been asking you! Bin lookin for sumthin like this for AGES! Awesome, could u send me the 1st draw of these 2 please. cheers. 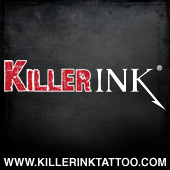 I want a tat kind a like yours on my arm. I'll flip it to make it my own. Hi, could you send me the draw of these please theyr imense tattoo. Hi Gizmo Got Any Photos Of Other Wings? ..Too basic for my likin. Huge solid black lines. Why? You could have had somethin more detailed that would have looked better. Soon As I Know Roughly How Much These Are I'm Gonna Have Them Done! 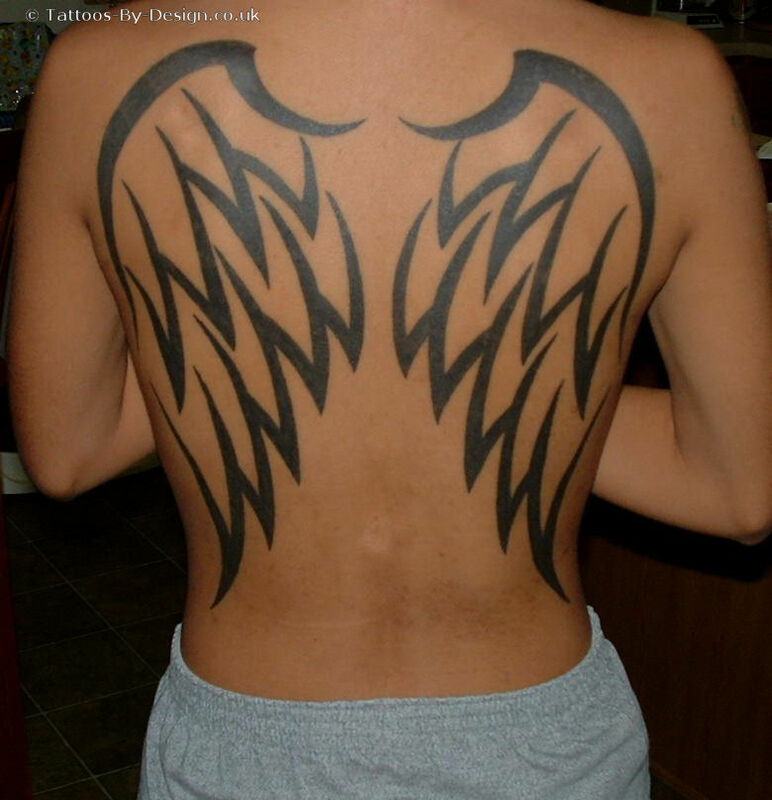 Wow I Love The Tribal Wings, How Much Roughly Wud It Cost To Have That Done? Ditto as the other comments....How long did it take? They are amazing!! hi how much did these cost? and how long did it take? I love u tattoo! :D It's nice! Please send me the first draw of the wings! I would so much to tattoo this one! Awesome set of wings there.